From Tim O'Rourke, the number-one best-selling author of the Kiera Hudson series, comes Stilts, the first book in a new dystopian trilogy. While 18-year-old Tessa Dark was serving her prison sentence for murder, the world beyond her cell walls changed forever. The thunder came and destroyed the world she had once known. Trapped inside the prison and faced with no future, Tessa's only glimmer of hope is her friendship with fellow inmate Joe McBride. Despite Tessa's fears, Joe decides to go beyond the prison walls to seek help. But when he fails to return, Tessa is determined to go and search for him. To gain her freedom, Tessa must first learn to walk, run, and fight on stilts if she is to survive the new and terrifying world on the other side of the prison walls. 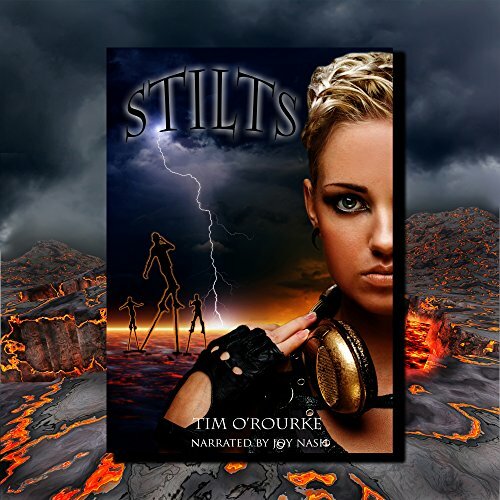 Stilts - the first book in a new dystopian trilogy by number-one best-selling author Tim O'Rourke. Would you listen to Stilts again? Why? Probably. Not sure though. I have so many books to read and so little time to read them all. The way the story drops you into a dystopian world so unlike our own. What does Joy Nash bring to the story that you wouldn’t experience if you just read the book? The narrator was quite good. I don't think I have any complaints. Tim has a way of writing about new interesting worlds/dimensions (that are so unique to this author) throughout all his sets of series so far published. This was a good read as per usual for Tim O'Rourke. I will be starting the next book soon.